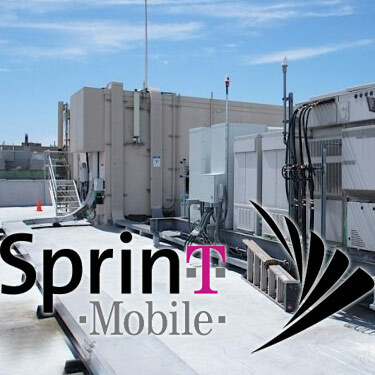 December 17, 2013 – According to a recent Wall Street Journal report, Sprint is considering a merger with T-Mobile and could place a bid within six months in a deal that could cost more than $20 billion. However, Sprint could face opposition from antitrust regulators, who might register their concerns about having one less national carrier and therefore less competition in the industry.The nation’s major tower owners, which appear to be quite content at totaling three, might not be as pleased with seeing the major carriers taper down to three, although they will not publically state their concerns.Two years ago when AT&T placed a similar bid for T-Mobile, the towercos identified that they did not see it as a detriment for future lease-ups and growth, possibly stated at the behest of AT&T, one of their primary tenants. Possibly to minimize the impact it could have on stock prices.Following Friday’s report, American Tower Corporation announced yesterday that for the quarter ended Sept. 30, 2013, Sprint and T-Mobile accounted for approximately 16% and 10%, respectively, of the company’s consolidated operating revenues. ATC currently has separate leases for antenna space on the same site at approximately 5,500 locations. Crown Castle International also announced that at the end of Sept. 30, 2013, Sprint and T-Mobile represented approximately 23% and 22%, respectively, of its consolidated site revenues. The company said that it had approximately 8,000 towers on which both carriers currently reside. SBA Communications has not released the impact it could have upon their revenues. Wall Street, during yesterday’s session which saw the Dow climb 129 points, viewed the merger as a negative for the three publically traded tower companies with AMT down 0.87%, CCI down 2.35% and SBAC down 2.39%. As was the case with the failed AT&T bid, contractors will likely be unanimous with their concerns about taking another carrier out of the marketplace and having one less mobile operator to work for. A merger of the third and fourth largest wireless carriers may not bring the severe regulatory concern expressed during the AT&T bid for T-Mobile, but it could easily provide shareholder angst over the kind of operational complexities that Sprint would have to face in merging and managing different networks. Medley Global Advisors policy analyst Jeffrey Silva believes that the deal might have some timing problems. Silva said that a deal at this time could face headwinds at the FCC and Justice Department, with federal regulators and antitrust officials possibly preferring to see how Sprint and T-Mobile fare in light of transactions and spectrum opportunities that could further improve each carrier’s competitive posture. “The policy calculus could change if one or both companies have significant difficulty in a 4G LTE market in which Verizon and AT&T have made significant strides,” said the Washington-based analyst. Silva said the issue is one of sustained competition of Sprint T-Mobile. “Indeed, we would not be surprised to see the US wireless market come to settle at three national operators in time,” said Silva.